This site was born to be a lighthouse for people who had been worked on SS ORIANA of Beppu Bay days. 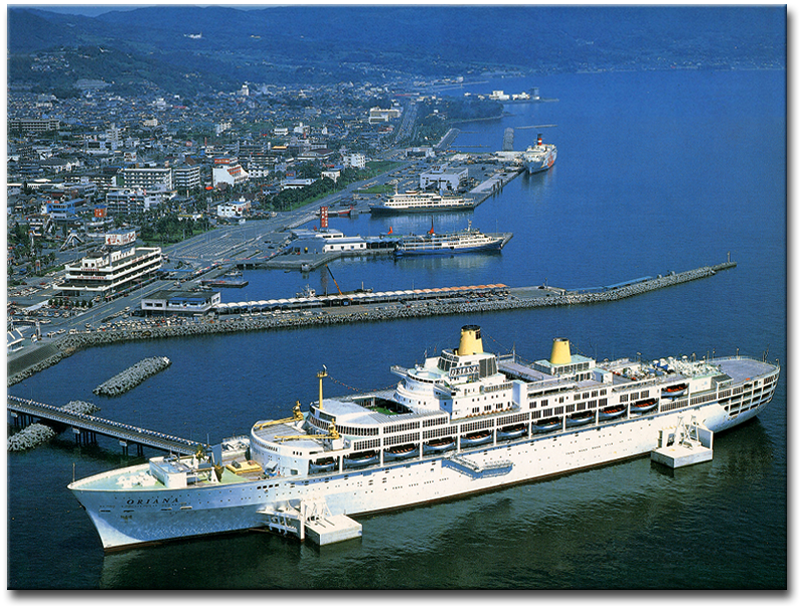 If you want visit here again, please run through the search engine with next two key words ...... "oriana,beppu". 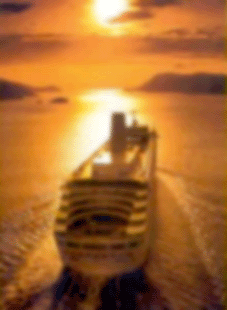 Do you know above passenger ship's nick name or her birthplace? <<<<< Do you know a person who smoke this handrolling tobacco? 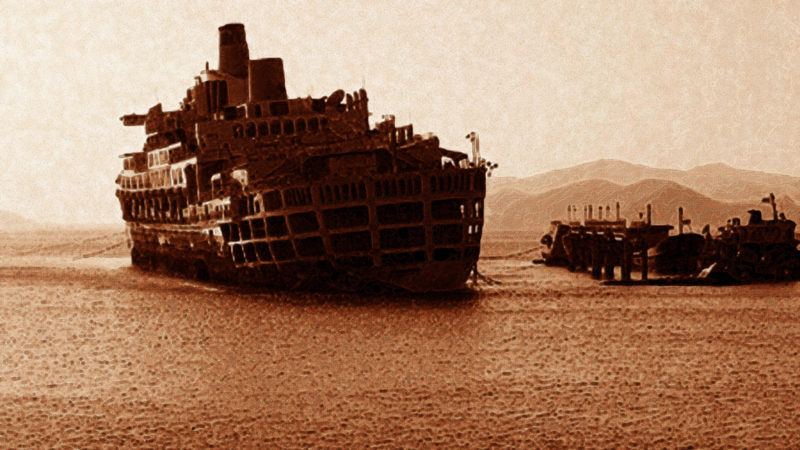 She was called SS ORIANA also known as WHITE LADY, and had been moored only 9 years between 1987-1995 at Beppu bay, Kyushu island, JAPAN as a maritime facility for tourists. I have never thought that the age become true to put a web site means to send message all over the world like today. Therefore I have nothing a file which recount about those days now regrettabley. If your answer to above questions are yes, let's VON VOYAGE again unexpectedly with lighthouse keeper to search what was leftoverd by WHITE LADY there? SS ORIANA had been flooded ! 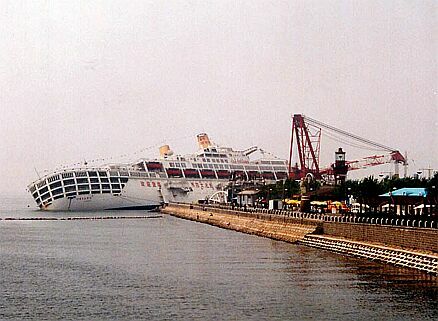 She tilts at a 70-degree angle in storm in Dalian's Xinghai Bay after a strong storm Wed.16/June/2004 20:42. And was partly flooded. 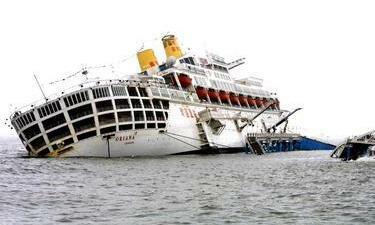 Finally, she had sunk on 17/June/2004. = upper photos were shooted 17/June, others were 05/July. Salvaging is progressing from end of June/2004. 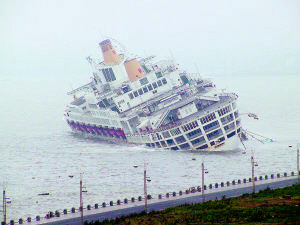 SS ORIANA was trashed ultimately!! 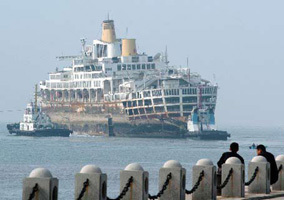 Salvage teams worked for a year to repair her but at last all work failed in vain. She still leaned to the side and stood bleakly. According the anonymous insider reported by Dalian New Business on 12/May/2005, She might not be any ommercial use and will be trashed ultimately. 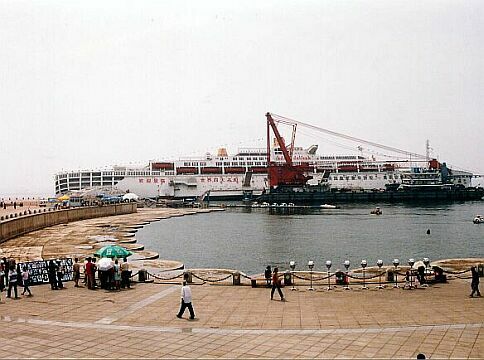 Also from the report, her destination is Zhangjiagang Port, Jiangsu Province in East China. 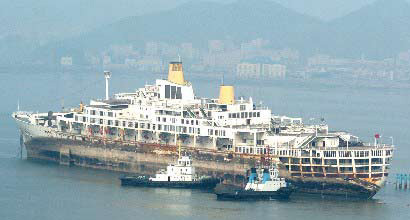 Her last owner is an anonymous shipbuilding company in Jiangsu.